As stated in the previous blog post, The Southern Tier PRC is committed to their mission of being a resource for the community. Becoming a parent is an important journey and we want to provide the support you may need along the way. Our Life Center’s dedicated peer counselors can help you with emotional and educational support as well as making you aware of resources available. We can help you to prepare for your child or help in those early infancy and toddler years. We offer a special program called Earn While You Learn. Not only does this program provide parenting lessons and information, you will be able to earn Baby Bucks while you do it. These Baby Bucks can then be used in our boutique to purchase items for your child. You will find items that include clothing (from newborn sizes to 5T), larger baby items (strollers, playpens, etc.) and much more! Each person in this program will have an opportunity to work with a peer counselor to select a personalized plan for topics you would like to cover. ​These are just a few of the possible topics. We want to help you be the best parent you can be. If you haven’t stopped in to see us, please do. Our qualified peer-counselors will help you with the support you need. Our services are kept confidential. Contact us today for an appointment. The Southern Tier PRC is committed to being a resource for the community. While being a parent is a wonderful experience, it is a journey that may require support, resources and education. There is not a manual for being a parent but there are ways to prepare. We feel that educated parents are empowered parents. 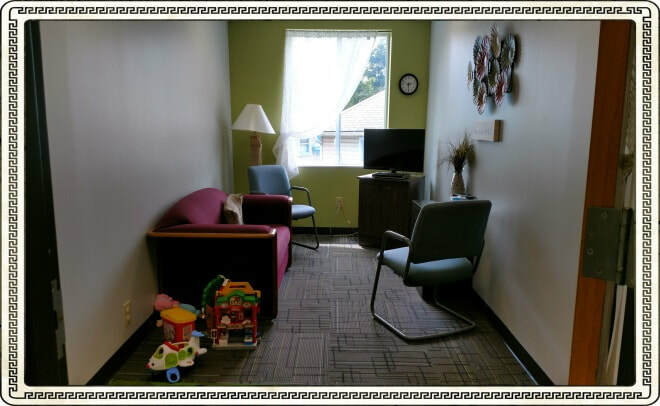 One of our facilities is dedicated to educating and supporting parents through the pregnancy and even beyond. We want to help you prepare for your child or help you after. Raising a child is one of the most important things you will do. Let us help you be the best parent you can be. ​We would like to invite you to take a look at our inviting facility. It is a welcoming and happy place. Our next posts will detail programs that we offer and our boutique. So if you feel overwhelmed or just needing some help getting ready for parenthood, we would love to get to know you and begin the journey together. ​Our Life Center has a variety of resources available as well qualified peer-counselors. Our services are kept confidential. We are here to help you. Contact us today for an appointment. Our peer-counselors are here to help you become better informed about all of your choices. We’ve looked closely at abortion and the risks and now are looking at alternatives. In the previous post we looked at single parenting. Adoption may be an option other than single-parenting which may help bring peace of mind for both you and the future of your unborn child. ​Before you decide if adoption is the right choice for you, it is important to have all the information and not make a choice based on emotion. Let us help you get the information you need. Not only is adoption an opportunity for your future, it also ensures the future of your unborn child, which you play a significant part in choosing. We have resources to help you become better informed about adoption as well as peer-counselors that can help go through myths about adoption that are unfounded. Information available on the Internet or from others might not be accurate. We can assist you in looking at adoption and your situation. Our next blog will address the types of adoption. The Southern Tier Pregnancy Resource Center has a variety of resources available as well as qualified peer-counselors to help you become better informed and give you the support you need. Our services are kept confidential. Your pregnancy outcome is your decision, we are here to help. Contact us today for an appointment. Is Adoption Right for Me? Lake Forest: Adoption Network Law Center, n.d. Print. "Adopt." Merriam-Webster.com. Merriam-Webster, n.d. Web. 1 June 2016. Adoption is defined as taking on the legal responsibility as parent of a child that is not your biological child. As we discussed in our previous blogs, pregnancy is a life-changing moment for a women and those close to her regardless of age. It can be overwhelming and often abortion seems like the only option. Abortion can have long term emotional, physical, psychological, and spiritual effects that last well beyond the procedure. To be better informed includes looking at the other choices thoroughly before you make any decisions for your future and the future of your baby. Let us help you look at other choices. You can choose to parent or perhaps, make an adoption plan. We will explore alternative choices to abortion in this series and will help you answer questions like the ones below. Am I really ready to be a parent? If I do parent my baby, what support is available? How will carrying my baby to term impact my life during my pregnancy and after? What happens after I have my baby? How does adoption really work? What are my rights if I choose adoption? What about the baby's father? What are his rights? What are some adoption agencies? How can I be sure my baby will have a good adoptive family? Remember, the Southern Tier Pregnancy Resource Center has a variety of resources available as well as qualified peer-counselors to help you become better informed about the answers to these questions and other questions you might have. We are here to give the support you need and our services are kept confidential. We are here to help you. Contact us today for an appointment. The spiritual effects of abortion are often not talked about or considered. As we stated in earlier posts, there are physical, psychological, and emotional risks to both the men and women involved with an abortion and decisions should not be rushed. Those risks have been researched and are well documented. Spiritual issues are usually not considered at all because what is going on inside is not tangible. Spirit is defined as the force that is within the person or the inner quality which gives the person the body energy and power. For some people they refer to being spiritual when they are talking about their faith. The word spiritual is defined as relating to the spirit of a person or their religion or religious beliefs. Both terms are talking about what is going on internally and that is something most women or men do not talk about and keep private. As stated in previous blog posts, there are many reasons why women think abortion is the only option. Maybe at that time in life it seems to be the only answer, but people grow and change with time. A perfect example would be Norma Mc Corvey who is the woman represented in Roe versus Wade 1973. She was the “Jane Roe”. Since that time she has taken a different stance and has tried to get the court to overturn their decision. With age she realized her thinking had been manipulated by others. Abortion can not only affect the spirit of the woman, but also those close to them. It can become a secret inside that is not talked about. When this happens, the pain inside may not go away and can cause other issues. Most women feel they are not allowed to talk about it. This may be especially true for women who attend church. Will you be able to be truthful with future marriage partners about an abortion? How about children you might have? If you are in a church family, will you share your past? Can you be certain on how you will feel in later years or how you will internalize your choice? Do you have religious beliefs? If so, how might they be impacted? If you are feeling confused or overwhelmed, you are not alone. The Southern Tier Pregnancy Resource Center has a variety of resources available as well as trained peer-counselors to help you become better informed and give you the support you need. Our services are kept confidential. We are here to help you. Contact us today for an appointment. "Spirit." Merriam-Webster.com. Merriam-Webster, n.d. Web. 22 Mar. 2016. "Spiritual." Merriam-Webster.com. Merriam-Webster, n.d. Web. 22 Mar. 2016. "The Story of Norma McCorvey." End Roe. EndRoe.org Copyright © 2016 NCHLA. Web. 22 Mar. 2016. Layton, Pat. "Surrendering the Secret Overview." Surrenderingthesecret.com/. Web. 22 Mar. 2016. Abortion may seem like an immediate solution to an unplanned or unwanted pregnancy, but as stated earlier there can be lasting effects and not just immediate physical effects. There can be mental risks involved with any type of abortion. Research in this area is limited and more needs to be done. Focus on The Family is a reliable online source that presents up to date resources on this topic. Being informed on abortion risks includes considering all issues that could arise. The dictionary defines psychological as meaning relating to the mind which is different from emotional which relates to feelings.Each problem listed above can have serious, long term consequences post-abortion for the client. This in turn can affect others close to them. The article included research from multiple expert sources in each area covering a span of twenty years or more. The facts and evidence presented indicate how important the issue of future psychological issues should be considered and discussed before an abortion. Some of the resources cited in the article also indicated that these issues could occur in both men and women as a result of an abortion. Health care professionals should help clients to be aware of current studies, resources, or published scientific research being done on this topic. 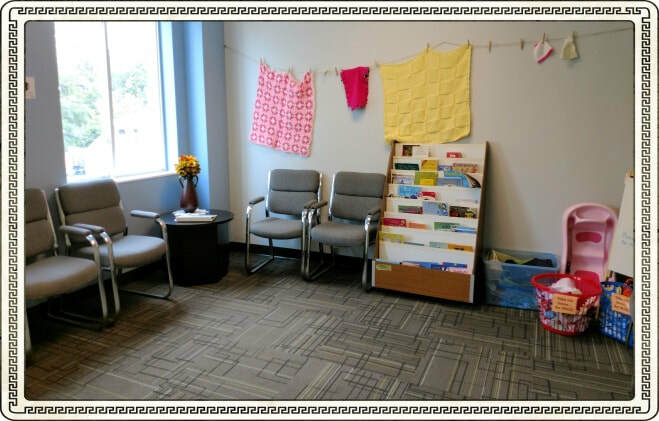 The Southern Tier Pregnancy Resource Center has a variety of resources available as well as qualified peer-counselors to help you become better informed. Our services are kept confidential. The internet is full of resources that may or may not be helpful. Some studies may not have been done in a reliable scientific manner. We are here to help you and to give you the support you may need. Contact us today for an appointment. Earll, Carrie Gordon. “Abortion Complications.” Focus on the Family, 2011, 2013. "Psychological." Merriam-Webster.com. Merriam-Webster, n.d. Web. 19 Jan. 2016. "Emotional." Merriam-Webster.com. Merriam-Webster, n.d. Web. 19 Jan. 2016. Abortion may seem like an immediate solution to an unplanned or unwanted pregnancy, but physical complications may occur that have lasting effects. There is risk involved with any type of abortion. The pregnancy should be confirmed. It is possible to receive a false indication of pregnancy. Counseling from someone who does not have a financial or personal stake in what is decided has been considered and explored. The abortion provider being considered has been researched. This includes checking with a state agency (or licensing board) to see if there malpractice suits is pending or if any settlements have been made. Careful preparation does not guarantee physical complications will not occur. The provider may explain the procedure, but not risks. Be prepared to ask questions and know what can happen. Possible risks for the most common procedures are listed below, but this list is not all-encompassing. 2. The surgical procedure called D & E (dilation and evacuation) is done in the second trimester in the office, clinic, or a hospital. 3. A medical induction is done after 16 weeks of pregnancy and usually requires a hospital stay of one or more days. Medicine is used to induce labor which may last several hours or several days. The lists included are physical risks only. Future blog posts will include emotional, psychological, and the spiritual impact abortion may have. The Southern Tier Pregnancy Resource Center has a variety of resources available as well as qualified peer-counselors to help you become better informed. Our services are kept confidential. The internet is full of resources that may or may not be helpful. We are here to help you and to give you the support you may need. Contact us today for an appointment. 1Hager, David.The Abortion Pill. Focus on the Family, 2010. Print. 2"Abortion Risks and Procedures. "The Life Center.Midland Life Center.Web.<http://www.midlandlifecenter.org/abortion-risksprocedures>.